Located in the heart of the Port Philip Bay, Encore provides a vivid backdrop for brides and grooms: palm trees, shimmering waves, sailboats and surfers against glittering sunset over the beach. Not only that, Encore has been awarded as the top Victorian wedding venue in both 2016 and 2018 this year. As an experienced wedding photographer at Tree studio, I have worked with many couples at this venue. We usually start our day at the iconic St Kilda Army Barracks for some location shoots. The green plants and the concrete architectures there provide a natural vivid background for the photos. The next stop will be the ACCA building at South Melbourne: the modern yet minimalistic architecture is perfect for some landscape photo shoots. The reception at Encore never disappoints. Spacious room with a large dancefloor, not to mention the excellent view which can be seen from the windows. My clients loved their first dancing photos taken there. 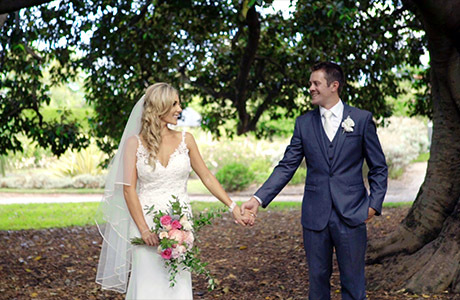 If you and your loved ones are planning to celebrate your big day at Encore St Kilda, please do not hesitate to consult our professional wedding Photographer for suggestions and information on wedding photography.